TAMPA, Fla./CHICAGO, Ill. (Sept. 10, 2014) — Gatorade Endurance, an elite line of sports fueling products from Gatorade for endurance athletes, and IRONMAN, the largest participation sports platform in the world, today announced a multi-year partnership that will provide IRONMAN® and IRONMAN® 70.3® triathlon competitors Gatorade Endurance Formula on U.S. race courses beginning in 2015. Through the new partnership, Gatorade Endurance Formula, served on over 300 endurance race courses nationwide, will be distributed at all IRONMAN® triathlons and IRONMAN® 70.3® triathlons in the United States. The exclusive multi-year partnership will take effect January 1, 2015. Grounded in years of hydration and sports nutrition research conducted by the Gatorade Sports Science Institute, the Gatorade Endurance line of products helps deliver fluids and nutrients endurance athletes need for training and racing. 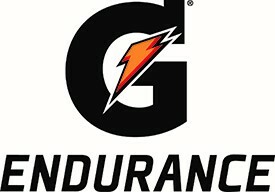 Gatorade Endurance products are available at run, bike and tri specialty stores and online at fuelbelt.com. For more information, visit Gatorade.com/Endurance.